For home use in the treatment of scratches, abrasions, smaller burns, traumatic wounds, inflamed wounds etc. For professional use for infected and uninfected, acute and chronic wounds, for pressure sores, diabetic wounds, leg ulcers, complicated surgical wounds, burn wounds etc. 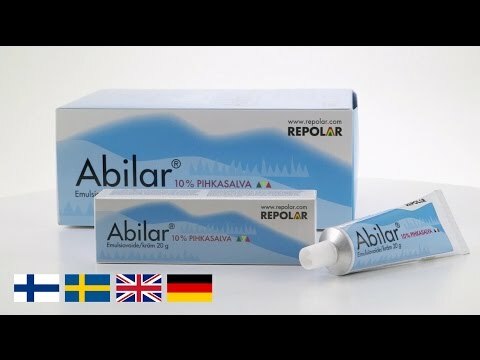 Abilar® 10% Resin Salve is a CE-marked medical device. Typical package sizes are 15 g, 20 g and 30 g depending on the market. Please check market-specific package sizes. Store in a clean place at room temperature. Shelf life in room temperature unopened 5 years and opened 12 months. The affected area to be treated should be washed and cleaned before the application of Abilar® 10 % Resin Salve. In home care the salve is applied directly onto the wound, skin crack, burn or abrasion etc. as a thin layer and covered with a regular plaster or gauze. 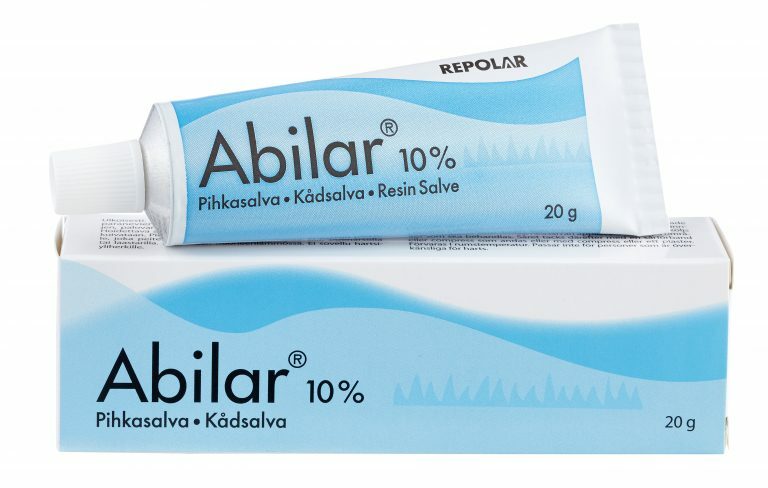 Apply Abilar® twice daily until the skin lesion is healed. In chronic, hard-to-heal wounds apply Abilar® onto the wound and cover it with regular gauze or any dressing you are familiar with. With dry wound a regular dressing is recommended and if the wound has heavy secretion, the use of absorbing dressing is recommended. The dressing change should be performed according to normal interval used for the wound type. If the wound contains cavities, the salve can be spread onto gauze ribbon that is used in the wound cavity. The gauze impregnated with the salve should be changed daily or every other day. It is not recommended to apply the salve onto mucous membranes, eyes or mouth, or to be used internally. In chronic, hard-to-heal wounds, please follow the instructions of your doctor or nurse.